The act of design requires intense concentration when spatial concepts and ideas are mentally visualized and manipulated. It may involve quickly altering or modifying the image to meet the requirements of the problem constraints. It demands an ability to develop fairly vivid images and perform spatial operations on it mentally. Designers rely extensively on this kind of visualization (or mental modeling) of physical configuration, but the level of complexity that the individuals can handle in visualization varies considerably. (Sommer, 1978, p 20) A gifted and famous architect Frank Lloyd Wright was known to have conceived his idea of the famous building ‘Fallingwater’ entirely in his mind’s eye. So powerful was his visualization ability that there were only minor changes when the drawings were made later! To retain this visualization in the mind’s eye requires allotting cognitive resource. Kahneman lucidly explains the difficulties involved in such actions in his book ‘Thinking, Fast and Slow’. (Kahneman D., 2011, pp 36-38) He suggests that we need considerable efforts to maintain simultaneously in memory several ideas that require separate actions. In the early creative phase when the idea is evolving, you have to hold the current idea in memory as a new (design) response is organized. It is not easy to hold more items in memory. The rate at which material decays forces the unwarranted efforts and pace, driving you to spend additional efforts to refresh and rehearse information before it is lost. It is effortful to hold material, but to work on it and transform it is even more effortful. Unless you have a good fortune of higher capacity of working memory, it makes sense to avoid the mental overload of working memory by committing intermediate results to either long-term memory or as most designers do, put them down on a paper. The action of quickly representing intermediate and often incomplete thoughts on paper suggests that the sketchbook acts somewhat like a live memory store for unfolding spatial concepts. It is a strategy to overcome the limitations of the working memory (Kahneman D., 2011, p 38) as well as the short-term memory, which can actively handle only a limited number of independent items during processing. (Miller, 1966) Once the key aspects of the concept are recorded, they need not be actively maintained as an image in the working memory, leaving the mind free to pursue further developments of the idea. The ability to sketch spatial creations gives the same advantage to the designers that writing offers to the authors. The representations in the early creative phase allow the designer to become critical of his own ideas and create an environment for a dialogue with himself. Without documenting it in some way, the designer would have to actively maintain the ideas and concepts in the mind and any reactions and modifications will have to be carried out as mental operations. To sum up, in the sketching mode, the variations and alternative ideas are developed almost ‘on-line’. The sketchbook, the pencil and the hand act like extensions of the designer’s mind. The entire process appears as if it is an external projection of the happenings within the interactive mental space. Sketching acts as a partial surrogate to this process of visualization. It allows even partially formed ideas to be recorded, eliminating the need to conduct complex mental operations. There is a strong case to look at the action of sketching as an extension of the limited cognitive capacities. "What kind of support does a designer expect from sketching? How can the mind become free from the problems of making an accurate sketch?" As seen in an earlier video of a blindfolded designer at work, to represent the ideas in words accompanied by gestures is very natural and perhaps cognitively less demanding, leaving the mind free to concentrate on developing ideas. (Athavankar, 1999) [Refer Video: A designer is blindfolded and asked to visualize in his mind’s eye]. Can this happen if he chooses to sketch? Would the issues like drawing correctly become an additional burden? Kahneman lucidly explains the act of balancing when multiple activities are executed. (Kahneman D., pp 23-40) He uses the analogy of budgeting of mental energy in directing attention. We can decide “What to do? What to attend?” but have limited control over how much effort the activity selected will actually use. (It is the nature of activity that decides and demands how much energy it needs.) The budget of attention is limited. With the result, it is always difficult to conduct two activities simultaneously. You dispose off a limited budget of attention by allocating to activities. It appears that, if the issues related to getting the sketch right take up too much of cognitive resource, it will obstruct the flow of ideas. The way to solve this problem is to make the act of sketching as natural as the production of speech or gestures shown in the video seen earlier. 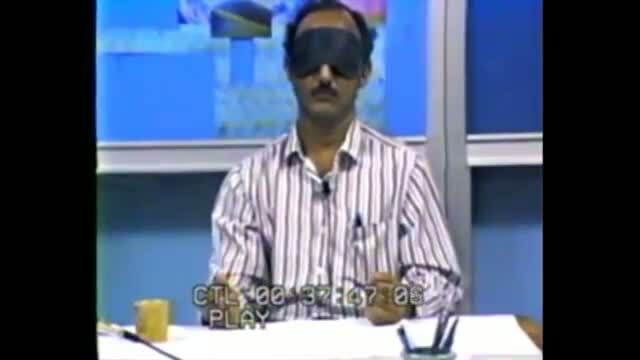 [Refer Video: A designer is blindfolded and asked to visualize in his mind’s eye]. Treating visual representations (in this case sketching) as a supporting tool for the creative thought process is expected to not only influence the nature of the sketches but also the process of sketching. The next section discusses how exactly this influences sketching.